Want to loose weight but cannot resist food cravings? Here is a solution: Play Tetris. According to a research conducted by PhD student Jessica Skorka-Brown, alongside Professors Jackie Andrade and Jon May, from Plymouth university’s Cognition Institute, just three minutes of the classic game can help you resist cravings for food, alcohol, and even smoking. The game provides enough visual stimulation to boost an individual's willpower to resist cravings, researchers claim. An experiment was carried out in which participants were asked if and what they were craving, and to rate their craving in terms of strength, vividness and intrusiveness. While half of them were then made to play Tetris, the other half sat in front of the screen, waiting for the game to load. After three minutes, they were again asked to rate their cravings. Those who played the game reported 24 percent less cravings as compared to those who waited unsuccessfully for the game to load. 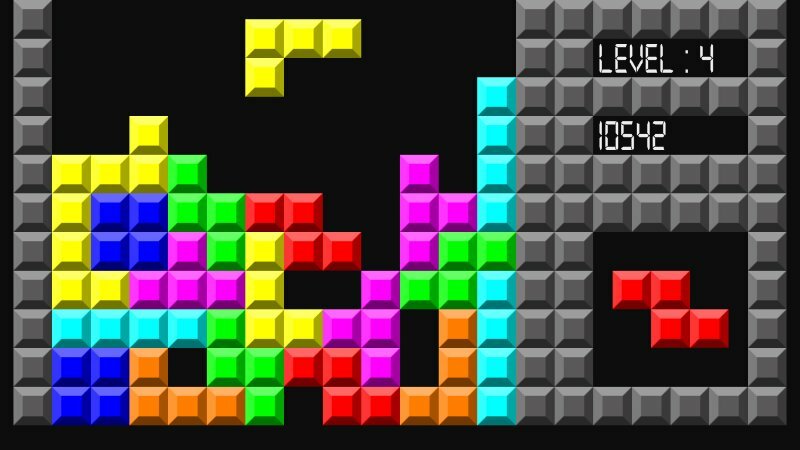 "Feeling in control is an important part of staying motivated, and playing Tetris can potentially help the individual to stay in control when cravings strike," Andrade said. The research is published in the Appetite scientific journal. We wouldn't jump to any conclusions about Tetris' magical powers, though. As catchy as the study's conclusions may be, let's not forget these were based on people's self-reported feelings at the time they were being distracted with something else. For that matter the study doesn't say if there's anything specific to Tetris causing reduced cravings or if any other mildly involved task (like playing Flappy Bird) would have the same effect. If you've been living under a rock, or are too young to remember, Tetris is a tile-matching puzzle video game developed in 1984 by programmer Alexey Pajitnov in the Soviet Union. The game became insanely popular after it came out for the Nintendo Gameboy in 1989. More than 170 million copies have been sold since its inception.